If you’re looking to get a balanced meal on the table with minimum effort, this Salmon Foil Packet is the ideal solution—cook your fish and veggies together in one neat package. With just a few minutes of prep time and no dirty dishes to clean up afterwards, you’ll want to make this meal every night of the week! 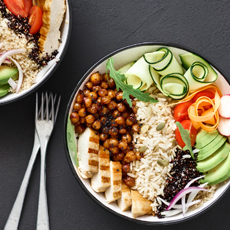 Brighten up your dinner table with this colorful Chicken Quinoa Bowl packed with vibrant, nutritious veggies made in under 30 minutes. This recipe swaps rice for quinoa, which offers more fiber and protein. 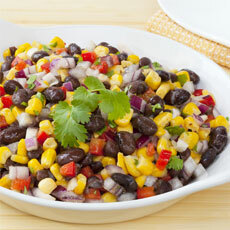 To get even more health benefits, use organic Green Valley Black Beans and Corn. 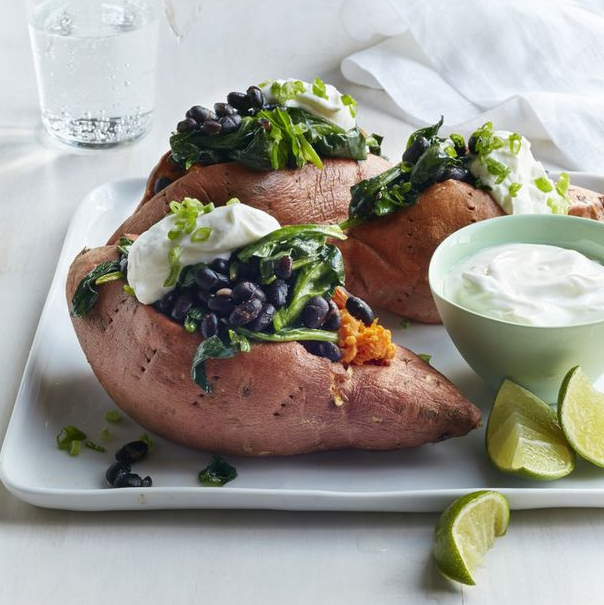 While sweet potatoes are typically viewed as a side dish, this recipe takes them to the next level by transforming them into a tasty, complete meal! Stuffed with organic Green Valley Black Beans and spinach, you’ll be left satisfied and free from the stress of cooking. What’s not to love about pizza night? It’s convenient, delish, and a family-fun meal! This Veggie Pizza made with naan bread is much healthier than the high-calorie, greasy pie from your local pizzeria. Plus, it’s super easy to make. Pasta is always a great option when you’re running short on time. However, traditional marinara sauce gets boring after a while. 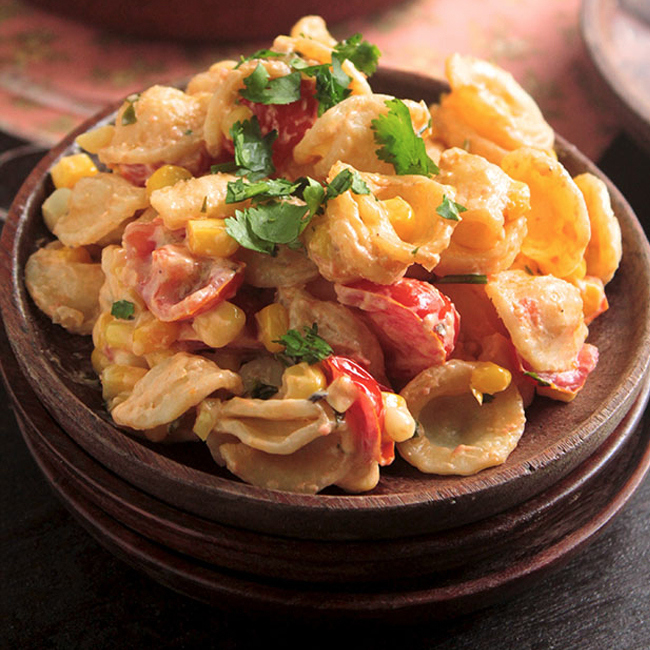 Change it up with this creamy pasta recipe made with organic Green Valley corn and fresh cherry tomatoes. Once you try it, your family will be begging for more! Chances are, one of your kids’ favorite foods is chicken fingers. Unfortunately, while we all want to make our kids happy, these deep fried treats aren’t the best choice for nightly dining. That’s why you’ll love this healthy twist on the classic favorite. Not only will your kids adore these juicy tenders, but you will too! 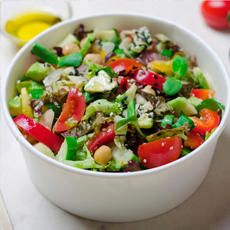 Although this dish doesn’t take long to make, it’s loaded with flavor! This one-pot meal made from organic Green Valley Kidney Beans is full of protein and fiber. And the best part? You can save whatever you don’t finish and serve the leftovers for dinner the next night. Here at Green Valley, we believe that you should enjoy all aspects of living healthy. 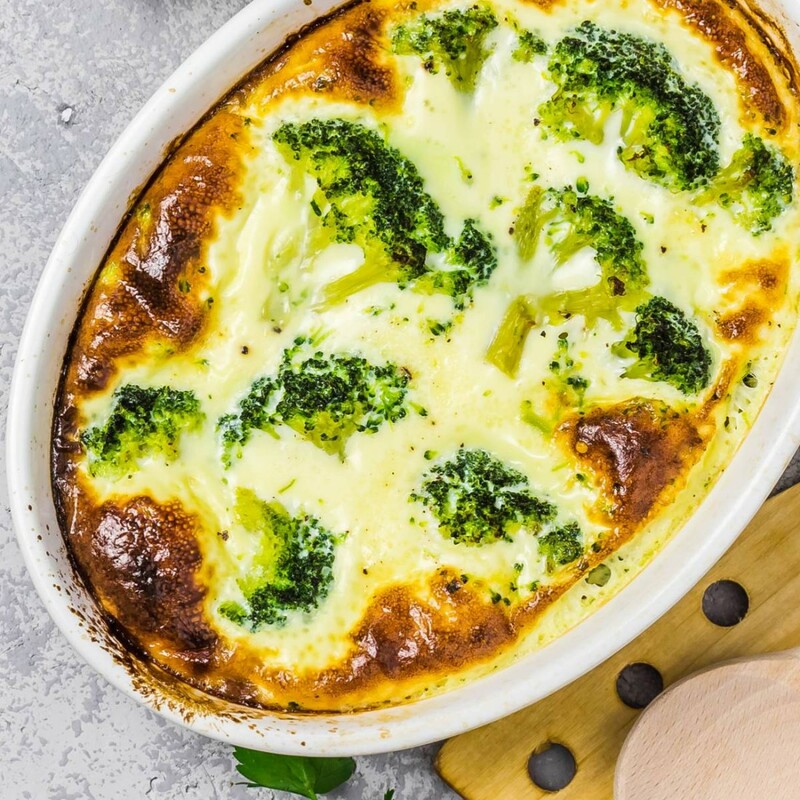 And with these quick, healthy recipes you’ll be able to take the stress out of dinner in no time. Before digging in, don’t forget to share your photos with us on Instagram and tag @ItsGreenValley!